According to a report in Daily News Egypt, Saxo Bank is researching the possibility of adding the Egyptian Stock Exchange to the broker’s list of global markets available for trading by the end of 2015. The newspaper article is based on an interview with Mohamed El-Masry, Development Manager of Saxo Bank in the Middle East, which reportedly said that the Middle East now represents 15% of total stock dealings that take place through Saxo Bank. FX trading is a growing business in the resource-rich Middle East as evident by the increasing demand for Islamic swap-free trading accounts and solutions. The European broker is most likely considering offering local stocks trading to attract new high worth clients from the region. The newspaper also said Saxo will set up training workshops over the coming months to introduce forex and encourage trade. Egypt has suffered severe economic and political troubles in recent years following an “Arab Spring” revolution that changed the previous decades-long established order. However, Mr. El-Masry believes that the Egyptian Exchange has a promising future in light of the political stability that lies ahead. 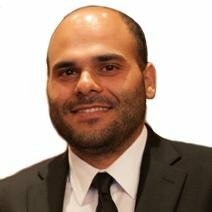 Beyond trading in the region itself, trading in Middle Eastern stocks, where markets are open on Sundays, will allow the broker to engage its traders over the weekend. Last week, UFX Markets announced it was the first to create a six-day trading week by offering ten Saudi Arabian and five Egyptian stocks. 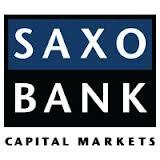 It is possible Saxo is considering offering Egyptian stocks next year if this trend becomes popular. So in more plain English, does this mean that Brokers and other institutional participants can use CME ClearPort (or whatever specific server run by CME) as method to offset some of their OTC forex contracts (NDFs)?